Changing employees’ terms and conditions of employment has never been an HR professional’s easiest task. Georgina Rowley looks at three recent cases that are a concern for employers. In all of these cases, the employer was successfully sued by employees following attempts to change terms and conditions of employment. With the necessary strategic thinking and solid business rationale for the change, changes can be implemented, but these examples serve as salutary reminders of some traps for the unwary. In the first two cases – Hart v St Mary’s School and Norman and others v National Audit Office – the Employment Appeal Tribunal (EAT) considered whether or not the two employers in question were able to rely upon variation clauses in employees’ contractual documentation to change terms and conditions. In the first case, the school employing Mrs Hart imposed changes to her part-time working hours relying on the contract, which required her to “work at such times as necessary, in the reasonable opinion of the headteacher, for the proper performance of her duties”, and a further clause stating that, for part-time staff, working hours may be “subject to variation, depending upon the requirements of the school timetable”. In both cases, the EAT found that the variation clauses in the contracts were not sufficiently clear and unambiguous. The ability to vary an employee’s terms and conditions is potentially onerous for employees and, as such, employers should exercise caution when attempting to rely on generic variation clauses to make substantive changes. The third case, Sparks and another v Department for Transport, involved changes to a sickness absence policy. The policy was in a staff handbook that contained an assurance to employees that their contract of employment could not be changed detrimentally without agreement. The Department for Transport tried to introduce a new “trigger point” for the imposition of an official absence management process. The High Court found that the original trigger point was contractual and that the change in bringing forward the trigger points was detrimental. The original contractual terms were therefore reinstated. Unusually, none of the employees in the test cases had suffered a detriment as a result of the changes, but the judge accepted that they might. The case reminds employers to make clear which handbook provisions are intended to be contractual. 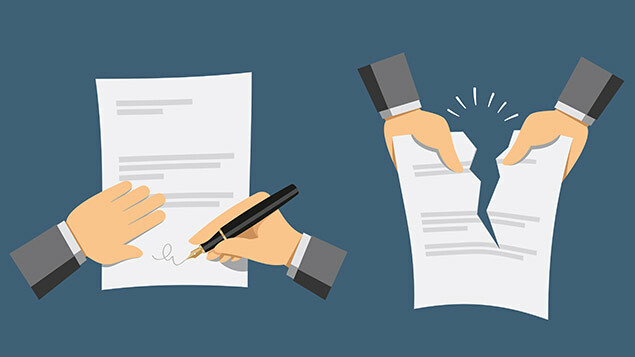 The key point to remember is that it is not enough simply to point to a contractual ability to vary terms and conditions in either a contract or a handbook. This is just the beginning of the story. However well drafted, a contractual ability to change terms and conditions must be treated by employers with caution. Even if the term is clear and unambiguous, it cannot cater for all employee situations or all facets of the employment relationship. Strategy for changing employment terms benefits from careful planning. There is always a tactical decision to be made as to whether or not to downplay minor changes to terms and conditions. But, with major changes, rather than simply press ahead relying upon the contract, employers are usually best placed consulting about the proposed changes with a view to reaching agreement and where agreement is not reached, to dismiss and offer re-engagement. Many employers understandably do not want to unsettle their workforce by explaining the risk of dismissal to employees. But, in practice, doing so puts the employer in a better position to defend potential claims, providing its business rationale is genuine and properly supported by evidence. There are various ways for employees to challenge imposed changes to terms and conditions, depending upon the process that the employer has followed. Aside from contractual claims and constructive dismissal claims, employees can also apply to the High Court to seek a declaration as to their terms and conditions of employment, even if they have not themselves suffered a disadvantage at that point. Georgina Rowley is employment partner at DAC Beachcroft.